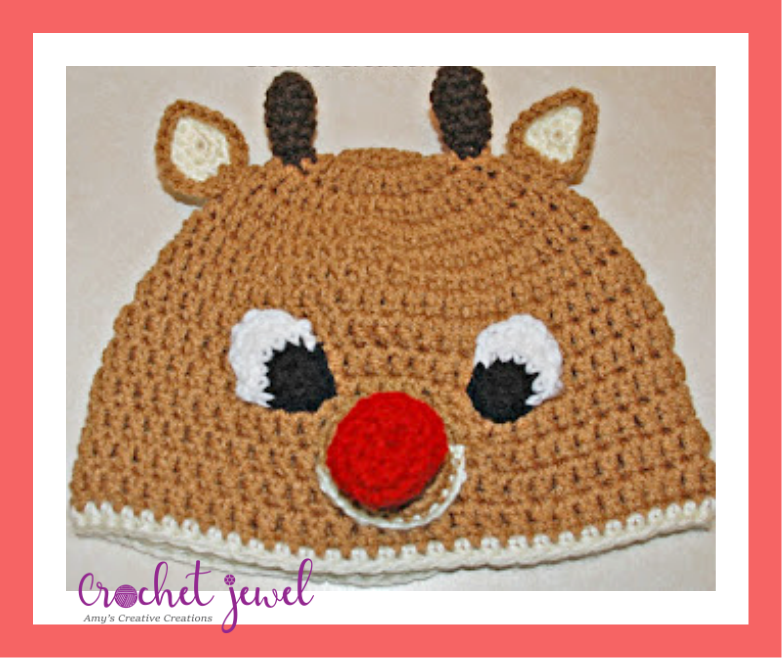 Enjoy this Crochet Rudolph Hat Pattern! 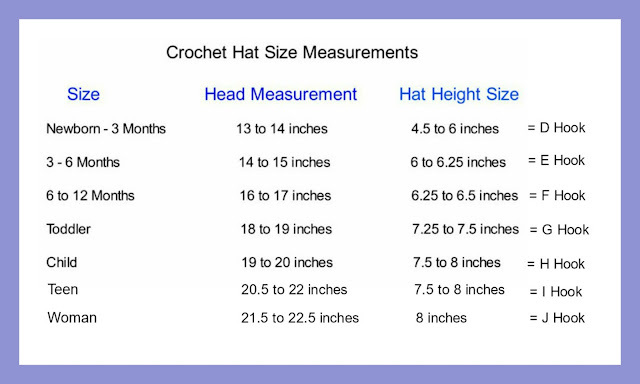 This cute hat can be done in any size just change the hook size and use medium worsted yarn. The braid from the center of the ear flap at the bottom, use brown and cream yarn, with a sl st in the center of the bottom of the ear flap and chain 30, and sl st it off and cut yarn. ch 2, work 5 sc in the 2nd chain from the hook. sl st.
rnd 2. work two hdc in the next 2 stitches, fasten off. weave the ends in at the end of making the eye. rnd 3. switch to white yarn, sl st with white yarn in the next stitch, sc in the next 7 stitches. rnd 4. turn, skip one stitch, work 1 sc in the next 5 stitches. rnd 5. turn, 2sctog decrease, 2sctog decrease, sc in the last stitch. rnd 6. turn, sc in the next 3 stitches. fasten off, weave in the ends Place the eyes above the muzzle about 2 inches apart, have the black of the eyes point toward the nose on both sides. Antlers: Make 2, H hook, Dark brown yarn ch 6, join with a sl st. *sc in next 6 stitches, *repeat this for each round until your antler reaches 1 1/2 inches. Attach the antler on top of the hat, about 2 inches apart. rnd 5. switch to cream yarn, single crochet in the next 12 stitches, fasten off. Place the muzzle on the bottom center part of the hat, have the cream part of the muzzle face toward the bottom. 2sctog=2 single crochet together decrease. rnd 5. 2sctog decrease 6 times, (twice around) sl st Sew the nose in the center of the muzzle. This is so cute! Hope to make one up in time for my friend's daughter for Christmas (she is a major Rudolph fan). Thanks for sharing! LOVE the crossed eyes . . . MUST make this for someone! ! ! ! !